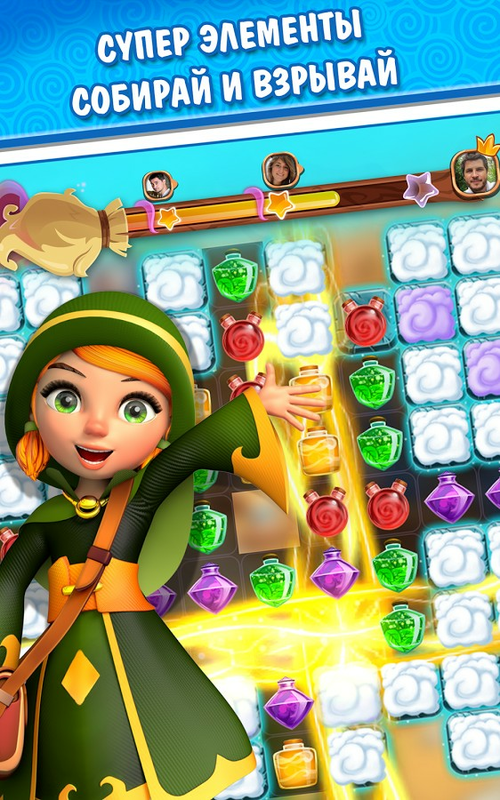 Welcome to "Miracle Mix" - a bright and unique world of magic full of adventure and puzzles 3 in a row, from the company "Nika Entertainment - candy puzzle adventure", creator of the game "Fairy Mix"! Together with the little sorceress Ginny, fight Vivien de Legrand - the evil witch who destroyed the fairy house of the parents of the little sorceress. ★ Prepare thousands of sparkling bottles and flasks, making them three in a row! 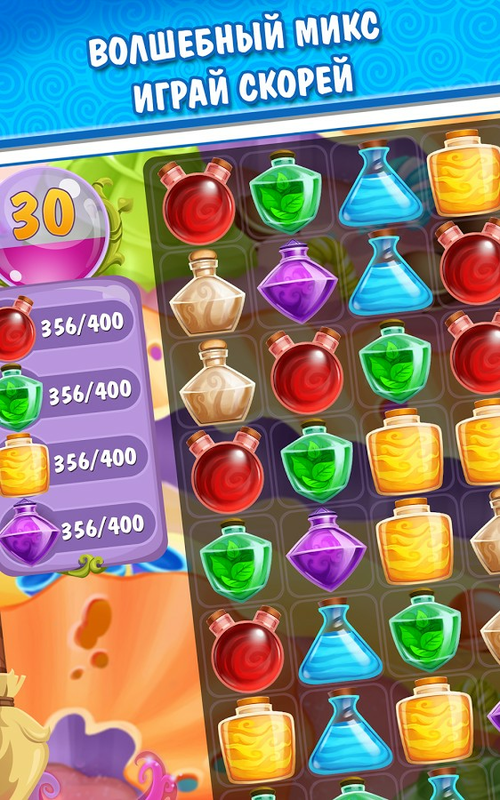 ★ Mix the most powerful potions in a miracle combination, using up to 5 elements in a row! 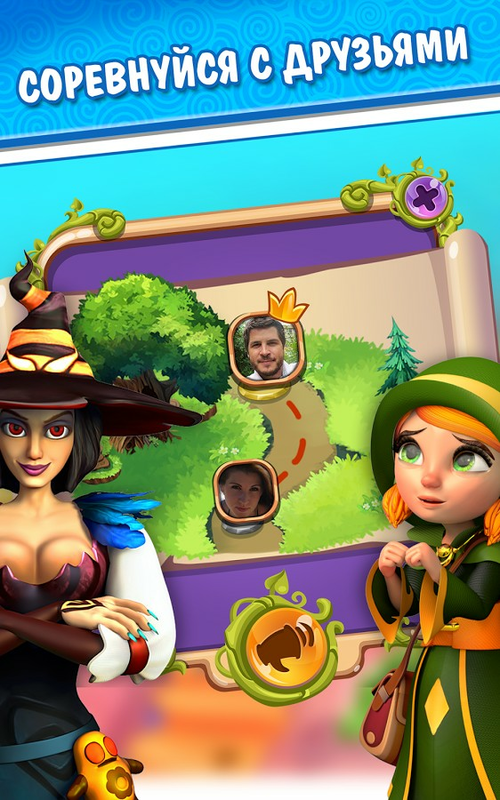 ★ Solve puzzles on more than a thousand levels! 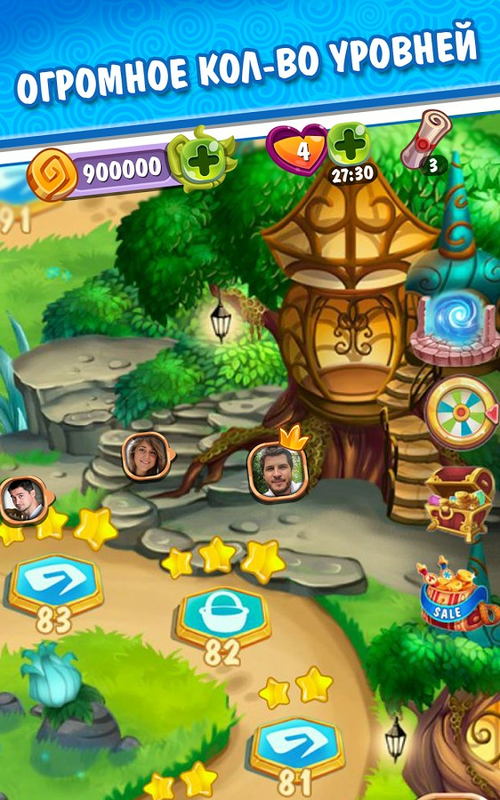 ★ Enjoy explosive effects and admire the bright flashes of magical combinations! 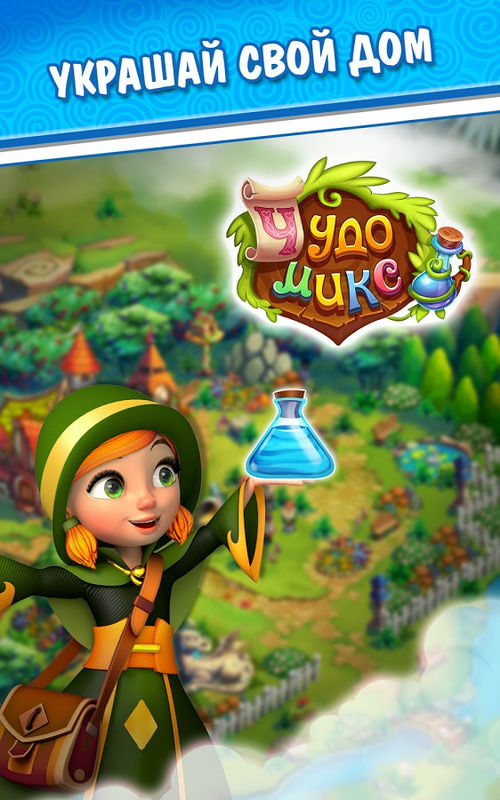 ★ Improve buildings that will help to mix three potions in a row and add extra moves. In "Miracle Miks" you can visit dozens of locations - from lovely meadows in pastel colors to incredibly colorful thickets! Yes, yes, there even are lands where sweets grow on trees, and in the river instead of water - jam! Perhaps, there you will meet a real panda, crunchy cookies. And do not forget about your comrades! Love the game King or SGN? Then you will definitely like "Miracle Miks"! "Miracle Miks" is a free three-in-a-row app. But you can always purchase additional lives and moves.